If you were given a chance to go back in time and right a wrong, would you? Most of us would a agree with a resounding “Yes” but what about when it comes to righting extinction wrongs? Well, the answer is definitely not unanimous. For extinct creatures like the Tasmania Tiger (although some believe it still exists in the Tassie wilderness) and the Great Auk their demise can be directly attributed to people. Specifically, people hunting them for food and for sport. Unlike other animals that became extinct because they couldn’t adapt to a changing ecology (like the Smilodon) these species were wiped out by humans. Essentially de-extinction is taking DNA from remains of an extinct species like the woolly mammoth and combining it with DNA from a modern relative (like an elephant) and creating a type of hybrid. There are of course plenty of risks associated with bringing back extinct species, but could the reward outweigh the risks? How far is too far? Could Jurassic park be real!? (*Hint* it can’t, there’s not enough dino DNA in the world). Well, sort of. Two scientists in particular are undertaking a mammoth task (pun intended) by recreating the grass steppes of Siberia into a woolly mammoth park. Dubbed Pleistocene Park the nature reserve would theoretically house large herbivores and potentially help ease climate change. Yes, seriously. 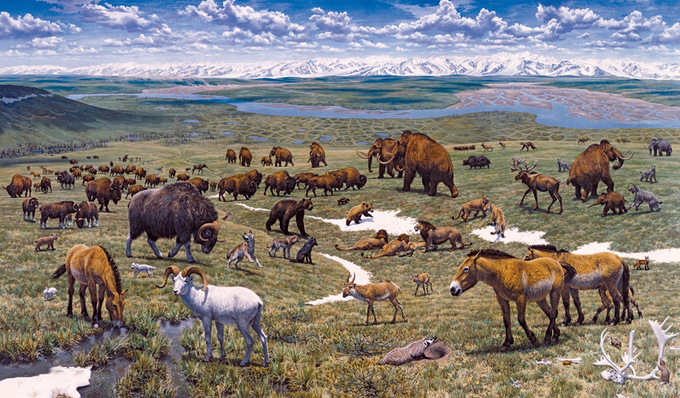 It’s believed that after the mass extinction of large mammals the tundra changed in part because there weren’t animals living there anymore. The thought is reintroducing these species to that area might lead to more thawing of the permafrost in warmer months. 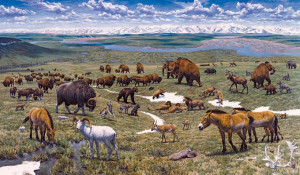 It’s early days and at the moment horses, ox and other herbivores are currently roaming Pleistocene Park, but perhaps they won’t be alone forever… Another major question for skeptics is why should we bring animals that have been dead a long time into a world they might not be built for. Woolly Mammoths were at their prime at time where average global temperatures were around 10 degrees cooler. Sabre toothed tigers could only hunt and take down large, slow prey in an area that is now densely populated by humans, not ground bears. It’s tricky. On one hand bringing back species that died out thanks to humans might give them another chance at thriving. But it can quickly get out of hand, one year you’re bringing back the Dodo from extinction and the next someone wants to help bring megalodon. Responsibility for these creatures would also be an ethical issue. Of course Pleistocene Park sounds like an extinct species dream but what happens if these hybrids were to fall into not so capable hands? What do you think LiveTribers? 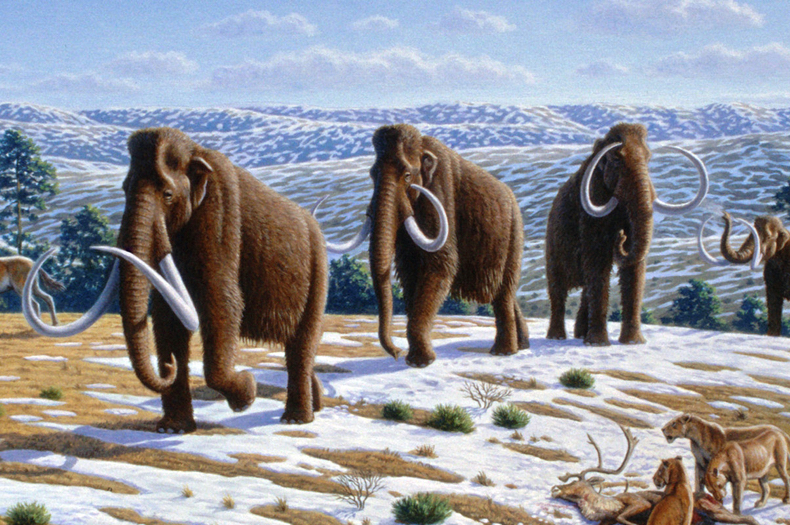 Should the past stay in the past or would you like to see a woolly mammoth hybrid in the future?